although it’s grey and cold outside why not pamper yourself with a little touch of these goodies. i received an invitation for the opening of frankly juice flagship store and will definitely pay them a visit. if you haven’t already tried one of their many delicious and healthy juices make sure to check it out next week. the scented candle i got from a friend for christmas and smells so good! 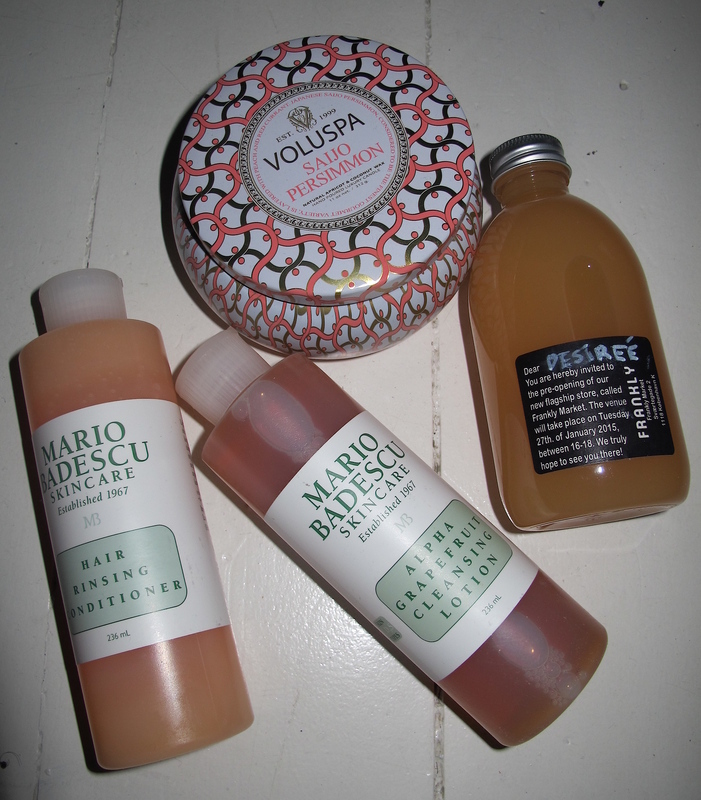 last but not least i just can’t live without products from mario badescu. all of the above are just perfect for a quick home spa. now the only thing i’m missing is a bathtub!